He’s somewhere here, if you want to hear him wave or cheer! Well done, you’ve found Justin! 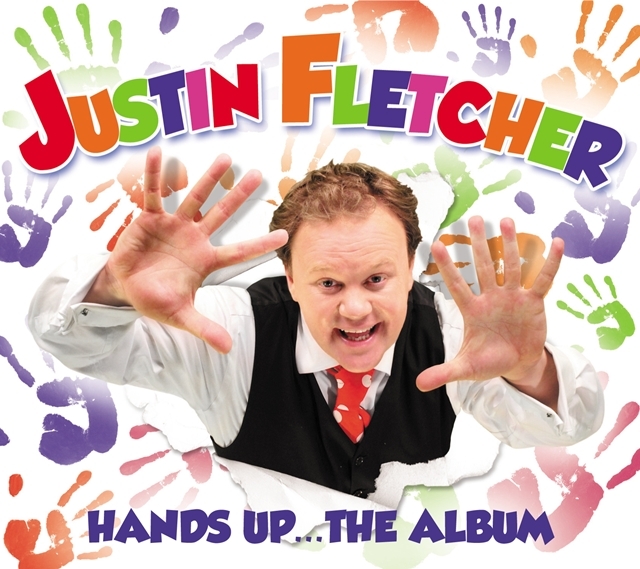 Yes, I did say ‘hear him’ because I am very pleased to say that Justin Fletcher has made an album! I am lucky enough to have been given an advance copy of Hands Up which I will surprise my son with tomorrow. Cover your ears around 9am because you will probably hear screams of delight wherever you are. I want to put my Hands Up with Justin! If you can’t wait that long and want a sneaky peek, pop over to Justin’s Facebook page where you can see a video clip of the new single. You can also say hello, hello to Justin on Twitter.